McCoy Jewelers came to life in November of 1992. Dreaming of one day owning a store, but not thinking it was possible, out of the blue Dayna McCoy received a call asking if she wanted to buy a store in downtown Bartlesville. Before she knew what hit her, Dayna was the proud owner of McCoy Jewelers. Since 1992 Dayna and her husband Larry have enjoyed seeing their hard work grow into a new store, three times as large as when they began. Second generation, Matt McCoy took over ownership in January of 2011 and plans to continue providing the high level of service and merchandise McCoy Jewelers’ clients have become accustomed to in the previous years. Matt has achieved the certification of Master Bench Jeweler, a title only a few jewelers can claim. He has been working with jewelry for over 24 years. He is also a master at creating custom jewelry using Matrix 3D Jewelry Design Software from Gemvision, a computer-aided design program. With this CAD software, he has been able to make many fine pieces of jewelry for McCoy Jewelers’ clients. He also performs many repair jobs for clients in-house from sizing rings to setting stones in invisible-set settings to properly working with platinum, which many jewelers find difficult to work with. McCoy Jewelers is proud to have a Diamond Graduate from the Gemological Institute of America (GIA) on staff. Thanks to our GIA certified Diamond Graduate, McCoy Jewelers is able to provide accurate and informative appraisals insurance companies can use to properly insure jewelry. McCoy Jewelers is also very proud to offer Bartlesville an array of the finest quality jewelry usually only found in large city jewelry stores. Jewelers from McCoy Jewelers travel to Antwerp, Belgium and around the world with the Independent Jewelers Organization to find the best diamonds and jewelry for their clients. 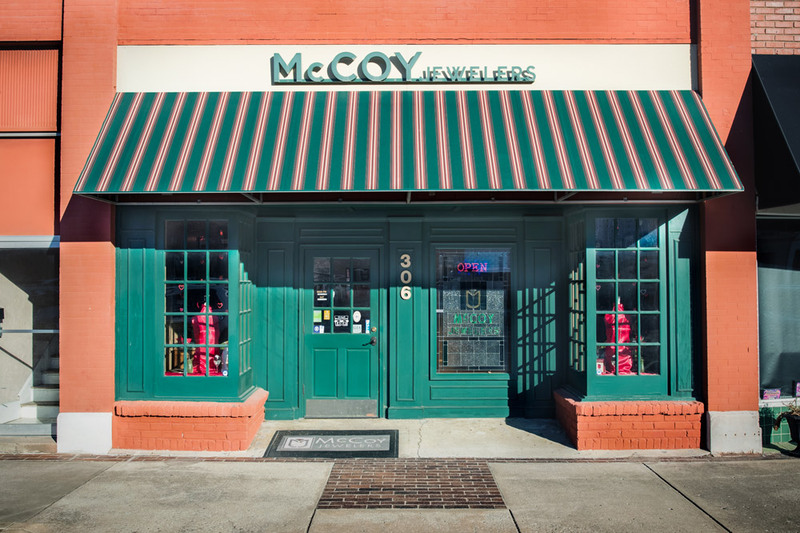 McCoy Jewelers takes pride in being a unique jewelry store, offering a selection of jewelry that you won’t find in other stores in Bartlesville. McCoy Jewelers searches out extraordinary lines from small manufacturers and extremely talented artisans and offers their samplings side by side with top-of-the line gemstones from some of the best known gem cutters in the world. McCoy Jewelers…jewelry for all your special moments.